Is the home you wish to buy your only, or main home? Are you a council tenant or were when you home was sold to your current landlord? Have you been a council tenant for at least five years (it doesn’t have to be five years in a row)? Can you confirm that your home is not sheltered or other housing suitable for elderly of disabled people? Can you confirm that you have no legal problems with debt? Can you confirm you have no outstanding possession orders against you? Can you confirm that your home is not due for demolition? There are risks to owning a home and it is important to get independent mortgage advice to help you decide if you can afford to buy. Some mortgage lenders may require a deposit, whereas others may be satisfied with the equity in your home. Our buying guides are here to help you decide whether you can afford to buy and how and when should you get a mortgage. If you are concerned that you have a poor credit rating, there are ways you can improve your credit rating before applying for a mortgage. If you sell your home within five years of purchasing it you will have to repay the discount. If you sell your home within 10 years of buying it through Right to Buy, you must first offer it to either to your old landlord or another social landlord in the area. If you sell within the first year, you’ll have to pay back all of the discount. On top of this, the amount you pay back depends on the value of your home when you sell it. So, if you got a 20% discount, you’ll have to pay back 20% of the selling price. If your landlord agrees to sell, they’ll send you an offer. They must do this within 8 weeks of saying yes if you’re buying a freehold property, or 12 weeks if you’re buying a leasehold property. If you are happy with this you have 12 weeks to accept. If you disagree with anything your landlord has said write to them within three months and ask for an independent valuation. Hi Julie, I would contact the council directly to see if they do this. Hi Mary, ask to see a copy of the lease, that should say whether there any restrictions on letting the property in the future. Hi Edward, I can’t see anything in the guidance that talks about this scenario. You’d have to pay back some of the discount if you decided to sell, but that’s not what you’re going to do. To be sure though, it would be worth speaking with one of the advisers on the Right to Buy helpline on 0300 1230913. Hi, I am thinking of using Preserved RTB for my apartment, but also considering moving out of the area to live with my partner in around three years time. There is a caveat in the purchase in that the apartment must be my principal home, which it currently is, but in three years time would potentially be my ‘work home.’ We live a distance that makes daily commuting impractical, so I would use the apartment for only part of the week. Could this impact upon the purchase? Hi Sarah, have you received a notice (Form RTB2) from your Landlord? This form should explain whether or not you have the Right to Buy.If your landlord says that you don’t have the Right to Buy your home, he must explain why. The property may be one of the exceptions listed on pages 22-24 of this guide (https://righttobuy.gov.uk/wp-content/uploads/2015/01/Your-Right-to-Buy-Your-Home-A-Guide-April-2017.pdf ). Hi there, I have recently applied to buy my home, i have been a housing tenant for the last 15 years without a break, i have 3 children and i am single. I have been turned down as I haven’t lived in the house from 1998 apparently. I don’t really understand this as the government website states that you have a right to buy as long as you have been a tenant for at least 3 years. Can i appeal this decision ? Hello Doug, I’ve spoken to the Right to Buy helpline to see if any discount would have to be paid back in the circumstances described by you (I didn’t give your name). The short answer is “yes”. You can speak to the Right to Buy helpline to find out more and to find out how to get a calculation of how much would have to be paid back. You can speak to them on 0300 123 0913.
my mother is buying her council home.once completed can we then put the property into Trust ? My Mother is named on a council house, along with my younger brother. The Council are now doing the Better Homes programme and improving their kitchen.bathroom. Once this is done, the value will go up of the house. Will the Council take this money off the purchase price? Hi Maria, Yes after 3 years you’ll have to pay back some of the discount, but after five years I understand you can usually sell the property without repaying any discount, but may have to offer to sell it back to the council first. Check your paperwork for a definitive answer. Alternatively, and given your plans to move abroad, speak to your Council to check they are happy for you to rent it while abroad. I purchased my property 3 years ago under the RTB but now want to leave UK. I understand that I can’t sell it yet without loosing part of my discount. I thought of letting it out and sell it in a couple of years. In the mean time, I will be living abroad. Does my change in UK residency status affects my right-to buy rights in any way? I am about to move to a council property (3bedroom flat) from 70s, second floor. There is no adaptations made for disabled people. I live in Norwich City Council area. I have lived in a Housing Associations flat for over 8 years now, paying rent and council tax, currently I don’t have any benefits and haven’t had any debts. How long I have to wait for before I can buy my new/old flat through RTB? Thank you. Myself, partner and adult son have lived in a secure council tenancy for 15 years. Is my son eligible to buy the property on our behalf. I have a poor credit rating and do not think I will be accepted for a mortgage, but he definitely will be. I would like to help my mum buy the housing association property we have lived in for 25 years. We do not currently have the right to buy because of the type of tenancy we have. I would like advice on whether we should stay and wait to buy the HA property if it gets picked to be in the pilot or look to buy elsewhere instead? If I wait, I’m 40, and we aren’t considered for the pilot, I’m concerned I won’t be able to get a mortgage? As our guide indicates you are probably eligible if the home you wish to buy is your only or main home, however, it is best for you to speak to a right to buy agent to confirm this, based on the specifics of your situation. I have submitted a Right to Buy Application (joint with my husband and son). However, I hold a property on Buy to Let Mortgage in my name (solely). Does this pose a problem for our application? Do also have a look at our useful guide: https://hoa.org.uk/advice/guides-for-homeowners/i-am-buying/right-to-buy/. Wish you the best of luck with your move. It’s been nearly a year now I’ve purchased my council property through Right to Buy Scheme. As circumstance has changed due to my job is relocating to the Head Office which is another district, therefore my family has to move to a new home. Therefore I have to sell my current home to purchase new property. So I understand that I’ve received a big discount from my Council to purchase my property, but If I sell my property later this year which falls in the second year. Do I need to payback remaining discount straightaway to the council or can I organise a payment plan scheme. I understand there will be equity on my home, which will help me towards the deposit of the new purchase. The reason of the help is the price value of his houses in another district is far difference from my current home. So will the council accept a payback scheme for the remaining the discount to be paid back? Thanks for your query. You should check with your landlord such as the local authority or housing association to ensure that you can do this, to check what timescales are applicable and that you do not breach any of their terms and conditions. Do also have a look at a reply to a question raised with one of our experts: Can I rent out my right to buy flat? I own a third of a shared ownership property with a housing association, would I be eligible for a right to buy discount on the remaining two thirds as I have lived there for 10 years and would like to buy the rest? I would be grateful for any information you can give me. My mother has occupied her council home for 64 years and qualifies for the maximum discount. She expressed a wish to pass on the house to me, however, I don’t live with her and have not intention to in the short term so I couldn’t buy it with her. She is 90 years old and claims Housing/Council Tax Benefit so is unable to purchase the house with her own funds. After taking advice I discovered that she could be loaned the money in order to buy it outright without a mortgage and that through creating a “Deed of Trust” she could pass on the property to whoever she wished after her death to bypassing any last will and testament she has made. We’re in the final stages of the RTB process, have the Section 125, and our solicitor is almost ready for my mother to sign the required paperwork before the monies are transferred. Now, I am an Assured tenant of a Housing Association property and am in a Civil Partnership, but do not have a joint tenancy with my partner. My mother’s property is approximately 100 miles away from my HA property. Were he to lend the money (£37,500 is the cost after discount) to my mother in order to buy the property and pass it on to both my Civil Partner and me after her death, would there be any implications regarding my tenancy in the Housing Association property I occupy? The “Deed of Trust” could either bestow my mother’s property to me, my partner or, more likely, both of us, and I want to make sure that there’ll be no problems in the event of my mother’s death and consequent ownership of the property. I want to know what potential pitfalls, if any, might appear were we to go ahead and my mother bought her property. She suffers from early stage dementia and requires carers 3 to 4 times a day. I’m aware that her condition could deteriorate where she may need 24 hour care and I’m looking at the possibility of me providing that care as she has consistently stated that she never wants to go into residential care. I have Power of Attorney over both financial and health/welfare for my mother, but the officer from the RTB section of the council warned me that if she had to go into residential care within the 5 year period after purchasing her property then the discount would have to repaid. I realise that once purchased all Housing/Council Tax benefits will cease and full payment for her existing care package will be necessary. There’s a question from Nicola Miller asking if it’s possible for her to buy her parents’ bungalow for them. This crops up a lot around RTB and it’s rarely that people get given the right information. The only person(s) who can buy the property are the; tenants/spouse etc/up to 3 family members who have lived there in the previous 12 months. Their names can be legally attached to the purchase. Nicola cannot legally buy the property on their behalf if she lives elsewhere. If there’s a separate “hidden” legal agreement that says someone else is to get the benefit of the property at some future date then the discount is not due and must be repaid. There are also problems with a secret agreement – if things go pear shaped between the borrower and the lender then getting it enforced by a court when the object of the agreement is to defeat another bit of law that’s designed to prevent it from happening will be “difficult”. The only way for Nicola to help to buy the property in a way that is legal and doesn’t void the discount is for her to lend her parents the money to buy the bungalow with a legal charge. Just say it’s worth £100K after the discount. She lends them that money by way of an agreement that charges her parents interest. The agreement should also state that no interest or capital is payable until the property is sold. It should also state that the maximum amount of interest and capital under the terms of the loan that will be repayable will not exceed the net sale price of the bungalow (if there are other children then that bit is important as they could see their share of any other assets – say a bank account – being taken by one child to meet a shortfall if there is one and that won’t be good for family relations). There can also be a provision that enables her parents to transfer the loan and property to a smaller property if needed. She can also offer a further advance to have a conservatory built – under the same rolled up interest/capital repayments arrangement. How does Nicola get her money back? She charges interest on the loan. If she charges 10% then the amount her parents will owe after year 1 will be £110,000. After year 2 it will be £121,000. After year 3 it will be £133,100. At year 7 it will be £194,871.71. The interest rate can be whatever is reasonable. What she’s lent will roughly double every 7.5 years – less with a higher interest rate. That’s rolled up and she won’t see it until the bugalow is sold. Her parents are protected as the terms of the loan mean that they repay nothing until their deaths and it won’t exceed the sale price of their home.. The loan isn’t regulated as is not a loan that’s given by someone in the course of a business. It can be done legally and above board but make sure that your parents AND you are both protected. Every eventuality has to be taken care of. Who will do the repairs? Nicola may die before her parents. Will whoever becomes the main beneficiary of Nicola’s will be as warm and loving towards her family as she is? Her parents have to be able to say “there’s the agreement and we’re safe in out home, or another home, until we die”. Hi I am wanting to buy my parents council bungalow for them and make some changes to the property ie. a conservatory and a new usable kitchen as my father is disabled and to just make it generally nicer for them as they are aged over 70 and was wondering if this is possible. They have lived in the property for over ten years. Hi I have been a council tenant in a flat for past 6 years and had a 4 year tenancy a few years before that. I am about to move from my council flat to a council house with a lump sum in my pocket due to a berievment. Will I be able to buy as soon as I get into my new house as I am staying with same council ? I have owned a council property for 9 years , are the council actively buying back any council properties under the 1st refusal 10year policy, if I wish to sell it within the ten year period? I have been living with camden council house for 3 years When I move in 2013 they told me after five years you have the right to apply to buy it. Once I have bought my Council property, can I rent it out during the first 5 year period? Can I buy my council house,lived in it for twenty years, then let it out? Can i rent the property out once i have purchased it? My Uncles have lived in a property for over 40 years. Just bought the property in Dec 2014, One of my Uncles died in February, the other Uncle has had to go into a residential care home with dementia will we have to sell the home back to the council how does this work? I have lived in estauryHousing Association for 16 years I like to find out if I’m eligible to buy it. This is for the likes of sour individuals like @Matt. Thankfully the decision doesn’t rest with you and I hope that Paul B is successful in renting out his rightfully deserved council flat and is able to move on with his family to larger premises. I detect a bit of the green-eyed monster Matt. Horrible of you to wish someone else ill in such a way. I had a council property for 3 years. Then moved to housing association for 12 years and am in the process of swapping back to a council home with the intention of buying. Will all the years I’ve been in both properties count towards a discount when using right to buy? To add to my post Paul you said council relocation takes forever….do you not think this is a direct factor as to why the council rehouse you quick enough? Re: Paul B. Why are still living in a one bedroom flat with 3 kids, you are overcrowded yet you’re asking to buy it so you can rent it out immediately? I think that is very greedy as you are cashing in on a property you are not even eligible for….the reason we have this housing crisis to begin with. I hope you are refused personally! If i buy my one bed flat from the council and bearing i have a partner and 3 kids leaving there also, can i buy it and rent it out straight away as its too small. will i be penalized for doing so. relocation would have been ideal but it takes forever!! I am 68 can I still buy my counsel flag,been in it twenty years. Hi – a little advice needed. I’m looking to buy my council house – we’ve been here for just over 3 years but I lived with my parents in a council house for 18 years – can I use this time as part of my application? My mother has been living in her council house for almost 50 years. About 23 years ago the council added a downstairs bedroom and bathroom as my mother became disabled. Will she be able to buy the house? I bought my council flat nearly 2 years, can I rent it out within the 2 year period? I have been living in my council house for the last 12 years,but due to illness I had to leave work,but if my daughters work can they help me buy. I have lived with my parents in this house since 1985 I became the tenant after my mother died in 2014. Could I get a smaller discount when this is taken in to consideration. I have been a tenent for 30 years how much discount would i get . i,ve been a council tenant for 30 years.20 years with one council and 10 years with another wot discount will i get?as i want to buy my council house. @phil Fryer I woudl go for an appointment at your local citizens advice in some cases they can talk to the council direct or negotiate on your behalf. Im thinking of buying my council can I rent it out within the 5 year period? I am a counsil tenant for over 15 years. Can i buy the flat? Where do i find the value of the property? I have been living in this council house for about 4 years and 8 months and I was wondering if I have the right to apply to buy it. Would you be able to let me know as soon as possible please and if I am eligible can you send me the forms please. after renting for over 15 years and at the age of 55 i decided to buy my flat, over 7 years it would be paid off, however dec 2014 the bank that i had worked for decided to end my employment after 12 years on the grounds of capability i have a lower back problem that is being managed but thats another story…. i cannot find and help any where for people in my position,,, no job,,, less than 10% likely hood of ever having one again and no where to go. I thought i would retire after 42 years of working ‘so far’ with a nice flat and inheritance for my children and no debts,, now i will be evicted within the next 6 months and have a ccj for a loan i cannot pay and no where to live. i will make it to the end of 2 years into my right to buy. if i sell ill be making myself homeless so the council will not re-home me, if i don’t sell it will be repossessed after a lengthy time in which the bank will load it up with sol fees, home visit charges and non payment charges. so i will lose any value left at all. I am very very scared… can any one advise.. Useful guide, but you haven’t covered the Right to Acquire scheme. Although it is very similar the discounts are considerably smaller. Question. 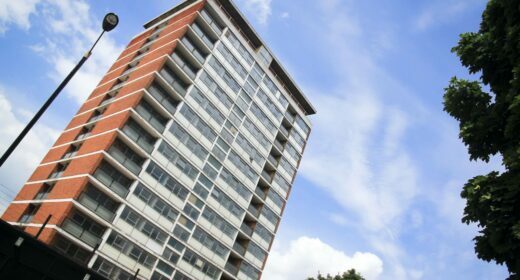 Can a Social Landlord selling a freehold property under the RTA scheme include a service charge in the lease when the property is a house, not a flat or maisonette?